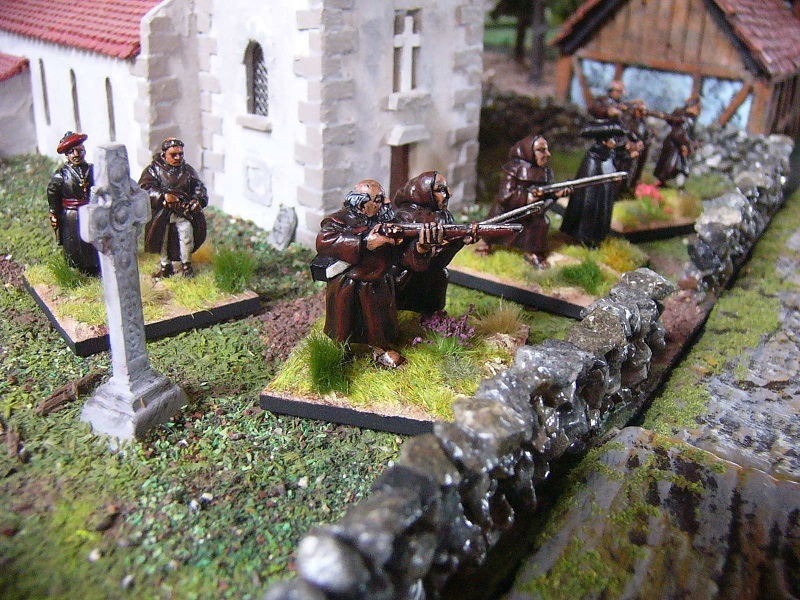 I wanted a small band of armed monks, either to stand as their own unit or to be part of a larger guerrilla force for Peninsular War games. 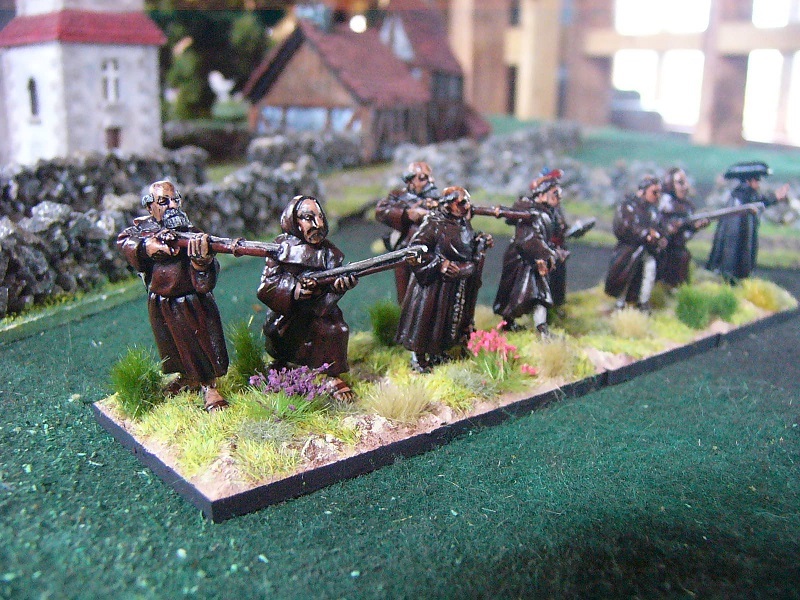 I had the Perry Carlist armed monks for some time, but decided to round the unit out with a some figures from the East Riding Miniatures line of Spanish irregulars for the Napoleonic Wars. First off, these East Riding guys are huge. They are at the top end of 28mm scale. 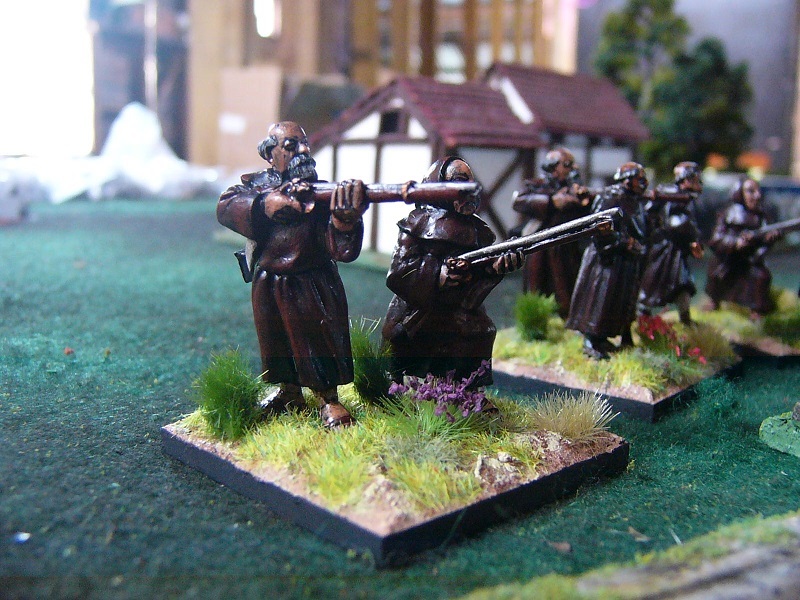 The monk in the firing pose is 33mm from sole to eye. That is a full 5mm taller than the Perry Miniatures that they are based alongside. 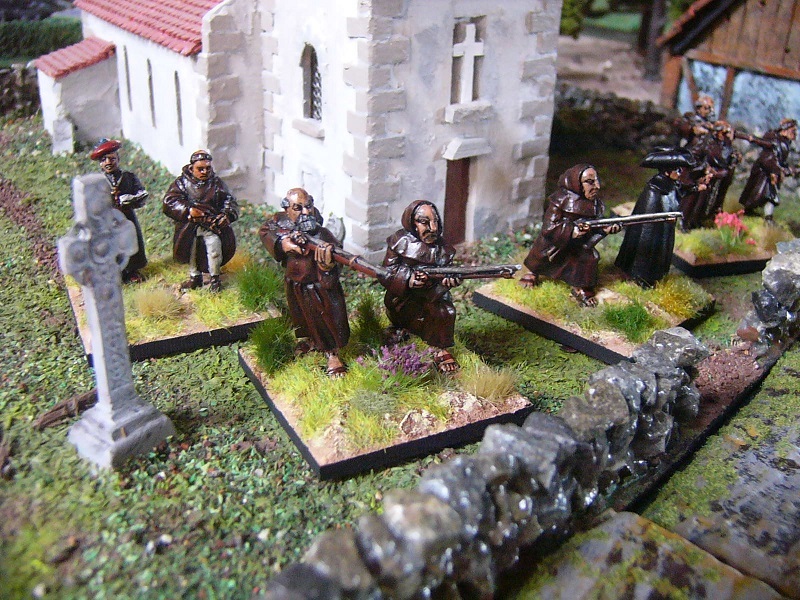 If you go the the East Riding Miniatures website I have to say that the photos do not do these models justice at all. Way better in the flesh, so to speak. You can see the elevation of the front figures to even out the height overall. Where there are a mix of manufacturers on the same base I based the larger figure at the back of the base and mounted the Perry figures a good 5-6mm higher at the front. I think it looks OK, despite the height difference of the miniatures. I have been looking forward to these. A great job, and well worth the effort. Thanks Lawrence. I like this unit. 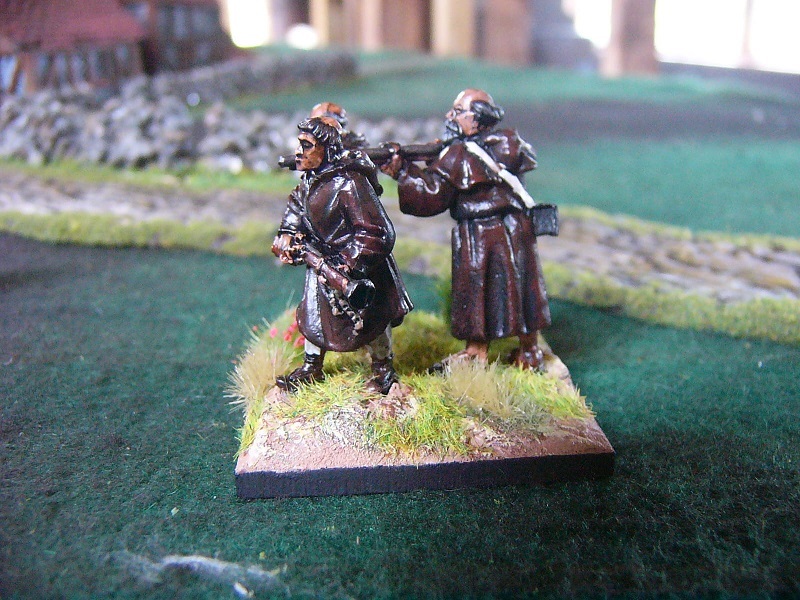 I am thinking of adding another couple of guerrilla units to my Spanish army in due course. Game some of those big guerrilla attacks on French convoys.